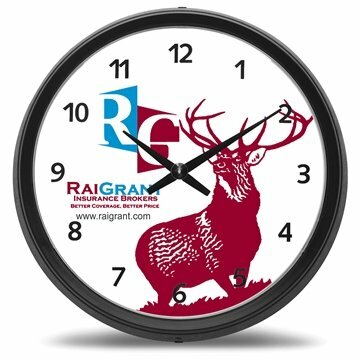 This extra large wall clocks can be seen clearly in any large facility or when you want to make a bold statement. Clock motors, frames or hands cannot be customized. This is exactly what I wanted, great for gifts. I've always had fun with the products purchased from Anypromo being professional as well as top quality. I cannot say enough good things about AnyPromo. I will buy from them again, no doubt. Nice quality and printing. the items came out well.